News 88.7 is following how Furr High School is trying to rethink high school, including how teachers are hired. On a recent afternoon, about a dozen job candidates filed into the main office at Furr High School, where the principal, Bertie Simmons, welcomed them to something unusual. “And you’ll never do it in another school because there’s no other school in America doing this. Have any of you been to ‘Escape the Room?’ Have you heard of it?” Simmons asked. A few candidates nodded, recognizing the name of an adventure game usually played by friends and family. Candidates smiled and started to laugh. This is part of how Furr High School is trying to create a new model for high school, with the help of $10 million dollars from the XQ Institute. There is a lot of focus on how to make learning more personalized and hands-on for students. Simmons explained how she hoped the activity would reveal different kinds of strengths not always apparent in the hiring process. “It’s going to show us whether you can work as a team. It’s going to show us whether you’re creative. It’s going to show us whether you persevere,” she said. As the candidates–a group of teachers, school clerks and administrators–headed to the teachers’ lounge, Simmons wished them good luck. One quipped if they never saw her again, they’d know where to find her. Inside the lounge, music played, smoke filled the room and one applicant, Megan Stevenson, read their first task. She quit law school to teach. “Collaborate to solve the challenge and find the master key to make your escape before the room is filled with deadly gas. Introduce ourselves and identify the room of everyone in the room. OK,” she read. Soon they tackled other challenges. First, a blind folded bean bag toss. Then, complicated puzzles. Bresean Cockrell, who was applying for an assistant principal spot, took the lead. “That’s a match. That’s a match for y’all,” he said, directing the activity. Furr High School is experimenting with a new model for high school, including how they hire teachers. 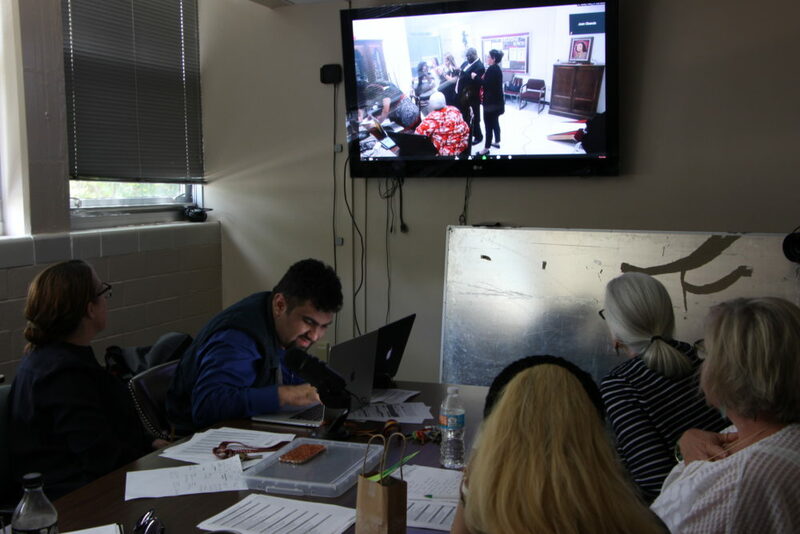 Here, administrators watched applicants on a live video feed as they tried to solve clues and “escape the room” during the interview process. While this unfolded in the teachers lounge, down the hall, the principal and five other educators gathered around a conference room table. They watched a live video feed and took notes. The hiring team watched for collaboration, creativity, who sat on the sidelines and who took initiative. But some academics who study the best way to hire talent aren’t sure about this method. “It does remind me of the late 80’s, early 90’s when the investment banks were doing stress interviews and they would do the same kind of random stuff that was not directly related to the job content but they said because the culture that they were bringing them into was high stress, they wanted to see how they performed in stress situations,” said Jamie Belinne, the assistant dean for career services at the Bauer College of Business at the University of Houston. Belinne said that activities like escape rooms are great for team-building. But as a job interview, she expressed doubts. She said that there are other, proven ways to measure someone’s critical thinking, such as case interviews. At Furr High, the candidates and administrators seemed to get into the hands-on activity. Finally, the applicants finally cracked the code and escaped. Cheers erupted both inside the teachers lounge and around the conference table. Simmons met up with the candidates and asked them what they learned. “I got so much better at figuring out what the issue was at hand when I started asking people, ‘What do you see? What do you see?’ It was pieces of what we all put together,” Stevenson said. Another candidate Kenya Pinkard said that she had no idea they’d be doing an escape room, but she enjoyed it. “What I learned is that I can actually take a step back and watch everyone utilize their strengths and then if there’s something I can add, then step in and add,” Pinkard said. Simmons told them they’ll follow up more traditional interviews before making a final decision.